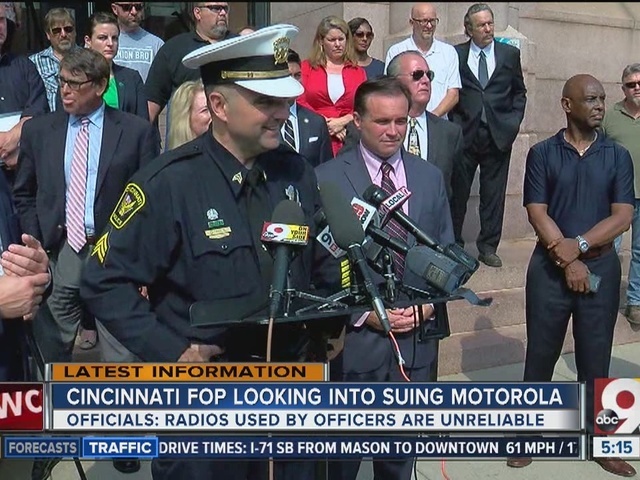 CINCINNATI -- The president of the Cincinnati police union has directed the union's attorney to explore the possibility of suing Motorola over $5 million in radios issued to city police officers last spring. Dan Hils, Cincinnati police union president, said in a Facebook post Sunday that he would consult their attorney, Stephen Lazarus, over whether or not they will pursue a lawsuit against Motorola over radio systems that he says are sometimes faulty. In his post, Hils recalls a time when the radios failed, following the Sept. 4 shooting on the riverfront after the firework display. He said officers in pursuit of the subject and amongst the crowd were unable to transmit any information. Hils said the fire department began using these radios three years ago, and they have required “constant redesign and repair.” He said some of these problems still exist with their radios. Because of issues with radio transmissions, the Police Chief ordered all officers to ride in two-person units, according to Hils. He said the Cincinnati Police Department is continuing to work with Motorola, but issues with the radios impact the safety of officers. "I have instructed the Fraternal Order of Police lodge #69's attorney, Mr. Stephen Lazarus, to research the union's standing for a lawsuit against Motorola, Inc. This spring the Cincinnati Police Department transitioned to new radios purchased from Motorola. The cost of theses radios was over 5 million dollars. City Council approved the purchase of these radios last December. This was part of total communications project for the city at a cost of approximately 30 million dollars. Motorola had informed the City that they would no longer service our old radios and system. The Fire Department was the first to switch to these radios three years ago. Those radios have required constant redesign and repair. Three years later some of these problems still exist. In the first week of use of these radios by police there was an incident on the Western Hills Viaduct. Officers called for "assistance", the term we use when we need help from any officer anywhere close to us. A very large suicidal man was trying to jump off the viaduct. Officers trying to save this man's life were now in a fight for their own lives. Their transmissions could not be understood and at times were not even broadcasted. Other officers did not know where they were or the details of their struggle. Luckily the officers were able to subdue the man and nobody was seriously injured. Because of this and similar problems the Police Chief ordered all officers to ride in two person units. I was told of this incident and others. I began to monitor the situation and the progress in the radios repair. Since I observed the police department making a sincere attempt to remedy the problem, I patiently waited for a resolution. At Riverfest there was another major failure of the radios. A subject fired shots near the crowd, setting off panic. Officers in pursuit of the subject and officers dealing with the crowd were unable to transmit. Before I was off on family leave, I collected statements from several officers who had experienced radio system failures. 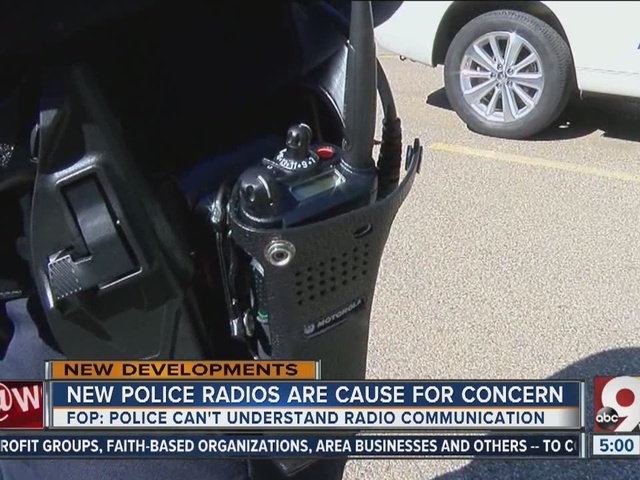 When I returned to work I continued to hear concerns from officers in the field about the unreliability of the radios. I contacted the commander in charge of the Communications Unit. The Police Department is continuing to work with Motorola, but these issues are continuing to threaten the safety of the members of FOP#69. There are many questions about the lack of proper field testing of this system and research of past performance of these radio models. The ability to communicate reliably and instantly is a matter of life and death to police officers in the field. I feel Motorola Inc. and possibly some members of city administration are liable to this threat to our officer's safety. No matter the cost, this problem must be fixed immediately before there is a tragedy."